Treasury Department officials are moving to reassure Congress that Iran will not be granted access to U.S. financial markets following comments by top Obama administration officials suggesting such a plan was under consideration, according to correspondence obtained by the Washington Free Beacon and conversations with congressional sources. The administration had promised Congress that Iran would not be granted access U.S. financial markets as a result of the recently implemented nuclear agreement. However, top officials from the State Department had recently discussed the possibility of granting Iran unprecedented access to U.S. dollars when conducting foreign transactions. The statements triggered a backlash from lawmakers in both parties, necessitating what some described as a cleanup campaign by top Treasury officials. The interagency tension is coming to light as Obama administration officials have sparred over a recent decision to avoid classifying Iranian ballistic missile tests as a violation of the United Nations resolution governing the nuclear deal, which the Free Beacon reported on Tuesday. Asked by senior congressional officials last week to explain the discrepancy in the administration’s statements over the dollar issue, the Treasury Department vowed that Iran would not be granted access to the dollar, according to a copy of the exchange obtained by the Free Beacon. "We aren’t planning on allowing access to the U.S. financial system or making sure that Iran gets U.S. dollars," the Treasury Department wrote. "We aren’t planning on issuing the general licenses [to foreign banks] that have been described" in media reports. However, officials will instruct foreign banks on how to release billions of dollars in frozen assets to Iran that have been freed up as a result of the nuclear agreement. "We will continue to work with banks to make sure they know what is allowed pursuant to the relief that Iran received but also, more importantly, what is still prohibited," the Treasury Department said. "Those prohibitions are extensive as all of the sanctions except the nuclear sanctions are still in effect, including the secondary sanctions on" the Iranian Revolutionary Guard Corps. The Treasury Department was pressed to explain whether it would issue licenses to business entities that would facilitate currently-sanctioned transactions with Iran. "I can’t flatly say that [Office of Foreign Assets Control, or OFAC] won’t be issuing any licenses," the department said. "As a matter of regular business OFAC issues licenses for otherwise prohibited activity. For example, as part of the [nuclear deal] civilian aircraft parts might be sold and would require a license." Frustration among lawmakers over the conflict between the State Department and Treasury Department had already spilled out into the open. "I’ve actually talked to administration officials who don’t know where those rumors [about U.S. dollar access] are coming from and are somewhat disconcerted by it," Sen. Bob Corker (R., Tenn.), the chair of the Senate Foreign Relations Committee, said last week. "I talked to [senior Treasury Department official] Adam Szubin last night, who was very reassuring that we are doing nothing to accommodate dollar transactions." However, that morning Secretary of State John Kerry had appeared on television and stated that Iran "absolutely" deserves access to the U.S. banking system. A State Department official who was not authorized to speak on record denied that the administration is at odds with its stance. "President Obama, Secretary Kerry, Treasury Secretary Lew, and Acting Treasury Under Secretary Szubin have all spoken very clearly on this, including ‎remarks Szubin made at the Foundation for Defense of Democracies Washington Forum today," the official said. "We are all on the exact same page." Congressional sources expressed concern that the administration is still working to grant Iran sanctions relief outside of the purview of the nuclear deal. "The facts about Iran remain the same—the regime is still engaged in ‘supporting terrorism, regional destabilization, missile testing that is violating norms,’ and ‘human rights problems’—and those are not my words, but Treasury Secretary Jack Lew’s," Rep. Mike Pompeo (R., Kan.), a member of the House intelligence committee, told the Free Beacon. "Unfortunately, instead of tackling these challenges head-on, the Obama administration is peddling a bizarre moral argument that the United States has an obligation to change American law and also ignore international law at the request of the Islamic Republic of Iran," Pompeo said. "This is false. The Obama administration’s moral obligation is to keep the American people safe." "Bending over backwards for the ayatollahs by ignoring Iranian ballistic missile tests or flirting with the idea of allowing Iran access to the international financial system is dangerous and far beyond the requirements of the Joint Comprehensive Plan of Action," Pompeo said, using the formal name for the Iran nuclear agreement. 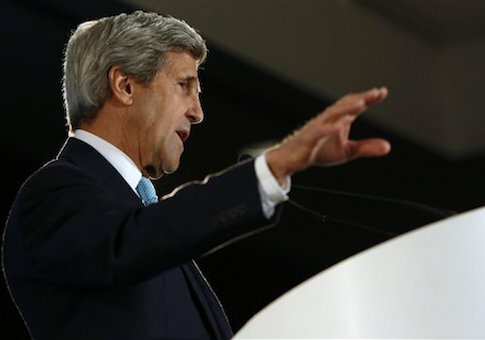 Others described the effort as part of a desire among some in the administration to appease Iranian officials. "I don’t think the administration is on the same page and I think there are some people who are invested in this and have developed relationships and I think are trying to bend this in a way that will benefit Iran," Corker said last week. One senior congressional aide who works on the Iran issue told the Free Beacon that the administration’s conflicting statements on Iranian ballistic missile tests and reports of U.S. dollar access remain troubling. "Although the administration is shrugging off fears and questions about the lifting of U.S. financial restrictions on Iran, Congress appears clear eyed about the threat this would pose to the U.S. and international financial system," the aide said. "Secretary Lew and other officials seem to be laying the groundwork for dramatic changes that go beyond the JCPOA." Treasury Secretary Jack Lew recently issued his own public assurances that Iran will not be given access to U.S. markets. "The U.S. financial system is not open to Iran, and that is not something that is going to change," Lew said in a recent interview. "So the challenge will be how to work through an international financial system, that is complicated, where there is a lot of attention paid to what U.S. law requires." The administration has announced it will instruct foreign governments and financial institutions on ways they can legally engage in business with Iran. This entry was posted in National Security and tagged Iran, Iran Nuclear Deal, Sanctions. Bookmark the permalink.